When a construction worker tackles a job around large wind turbines, the level of fall safety needs to be taken up a notch. As they climb the precarious heights to maintain and repair these turbines, construction crews can stay safe and get the protection they need by wearing the Guardian Cyclone construction harness while they work. The Cyclone features an innovative design that is conducive to the work these specialists carry out each day. 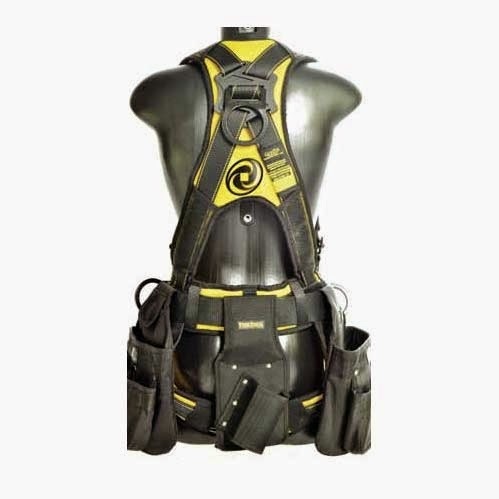 Its shoulder adjustment capabilities let workers wear it comfortably without experiencing physical distress, and it features a rope access application failsafe should a rescue be needed. Keeping the harness untangled also proves to be important while these workers get the job done. With its tangle-free design, the Guardian Cyclone allows workers to ascend ladders in the turbine and focus on their work without fearing that their harness components will get tangled together. Its unique X-back offers perfectly allocated pressure across the shoulders to prevent strain and drive home that tangle-free design. The Guardian Cyclone provides quick fall-arresting capabilities with its adjustable textile chest attachment loops and dorsal D-ring. 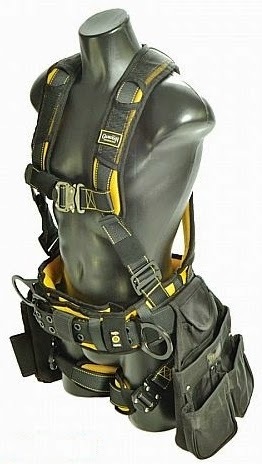 In fact, the harness also includes two lateral D-rings, adjustable straps in the chest, leg, and shoulder areas. Workers can keep their tools handy with the tool loops on the back. They can also sit while they work with the harness’ sit-strap extender. Workers obviously don’t come in one size. The harness is available in sizes small through large to cater to anyone in your crew. Working a job in low visibility? The Cyclone’s bright yellow color will keep you and your crew spotted throughout the job. Grab the Guardian Cyclone construction harness for you and the rest of your crew at Harness Land. Our competitive sales pricing and free shipping make this one a steal for any construction team. 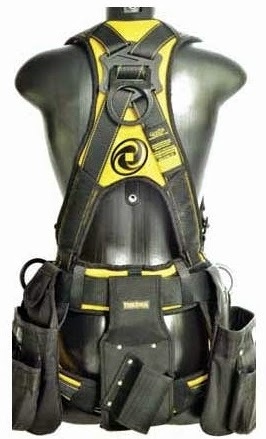 Full Body Harness is an important component of personal fall arrest systems. Nice one, Will buy it someday but first you should know what is the purpose to wear it which you can get from Health And Safety Training in that you will learn about safety and how to defend it.